We want to make sure your custom screen door is everything you want it to be. This page will help you measure your existing doorway to get the perfect fit for years of enjoyment. Please take a moment to review this information, as it is imperative to getting accurate measurements which allows us to complete your order as quickly and accurately as possible. Before you begin taking measurements, it's important to familiarize yourself with some common door terminology. Understanding the parts of a door and its functions will make placing your order a straightforward and simple process. 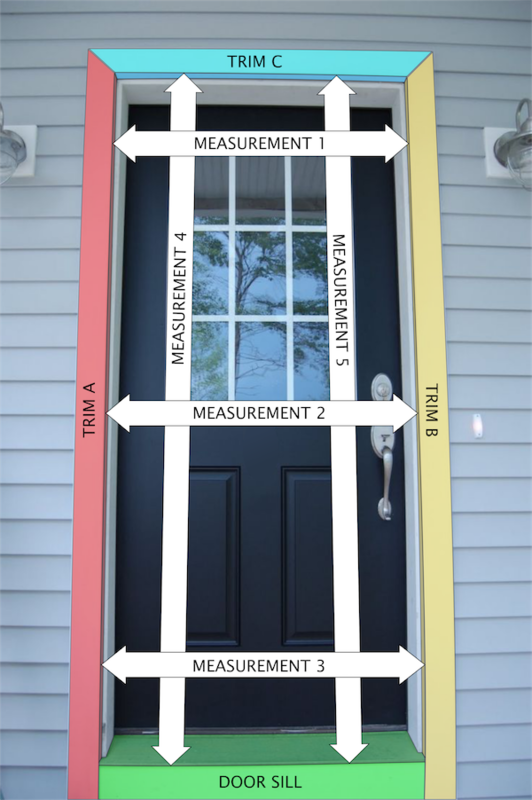 Please refer to the images below to better understand the 3 main components used to measure and mount your screen door. These are the decorative pieces of wood that border the door. They are sometimes refered to as “brickmoulding” for houses that are brick or have siding. In most cases, your screen door will be mounted to this trim. These are the vertical components of the door frame. They are located behind the trim, and are often what your front door will be mounted to. The edge of the jamb will also serve as the “door stop” for your screen door. A piece of wood or plastic that rests directly beneath the door. They can be flat or slanted, like a ramp. This diagram shows where you will be taking measurements from your door frame. The width will be measured in three places - middle, top, and bottom of your door. The height will be measured in two places - the right and left side of your door. Please reference this photo as you take measurements to insure they're being taken from the correct location. Now that you're familiar with the parts of the door and where we will measure, let's begin taking measurements. We strongly recommend that you use only a trusty measuring tape, as we cannot guarantee consistent measuring with any other devices. All measurements should be recorded in inches. Our first three measurements will be for the width. Starting from the top, measure from the inside edge of Trim A (red) to the inside edge of Trim B (yellow). Try to be as accurate as possible. Record your measurement as Measurement 1. Repeat this process for the middle and bottom of your door, remembering to be as accurate as possible. Record the middle measurement as Measurement 2, and the bottom measurement as Measurement 3. If the three measurements vary, use the largest of the three. This is your Actual Width. Now we will be measuring for the height of your door. Starting on the left side, measure from the inside edge of Trim C (blue) to the top of the Door Sill (green) where you'd expect the screen door and sill to meet. If your door sill is slanted, measure to the lowest part of the sill that will rest beneath the screen door. Try to be as accurate as possible. Record the left side measurement as Measurement 4. Repeat the process for the right side. Record the right side measurement as Measurement 5. If the two measurements vary, use the tallest of the two. This is your Actual Height. As a precautionary step, we ask that you also measure for the depth of your trim. This is to insure that our hardware will fit, as well as that your new screen door will be seated properly in the frame without modification to your trim. To install one of our screen doors and hardware, your trim must be at least 1 1/8" thick. If your trim doesn't meet this requirement, we recommend consulting a local carpenter prior to ordering to make the necessary modifications. You're ready to order! 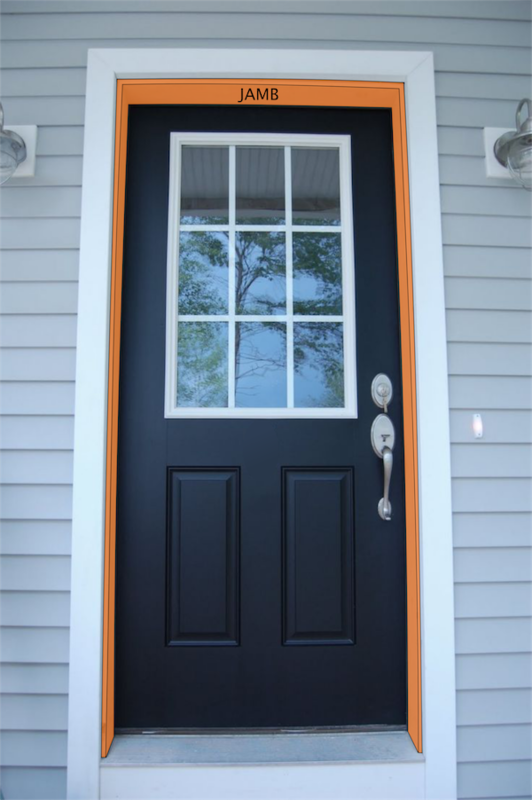 You can now visit our product page and select the screen door you wish to buy. 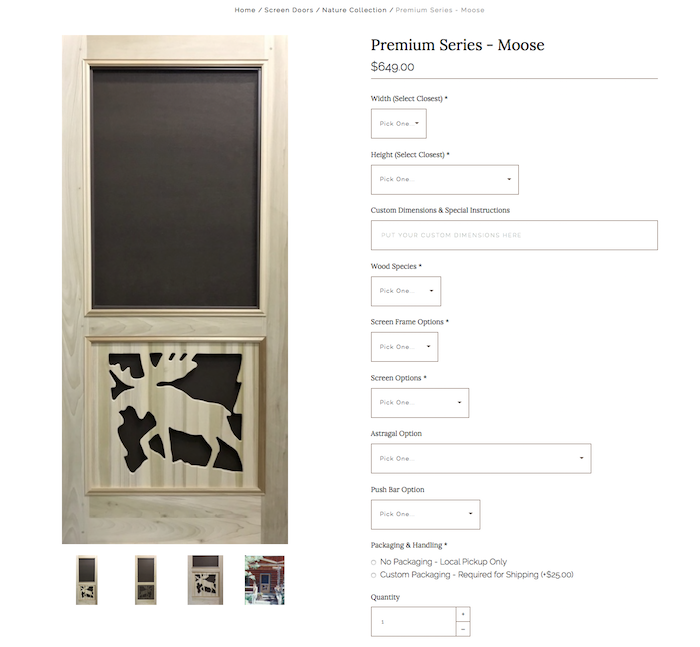 For this example, we'll be selecting the Premium Series Moose door from our Nature Collection. On the product page, you'll see a list of options on the right hand side to customize your item. The first option is Width. 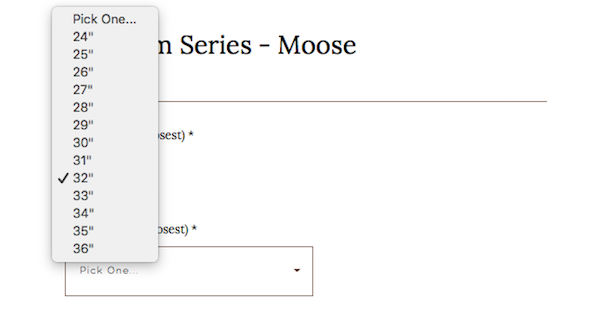 Choose the width measurement from the dropdown that matches your actual width. If you don't see your exact size, that's okay! Select the number closest to your actual width by rounding up. For example if your actual width is 31 1/2", select 32" from the dropdown. Doors 37" and wider will cost an additional $100 to cover oversize shipping expenses. Repeat for the Desired Height using your measurements, choosing the selection that is closest to your actual height. Doors 85" and taller will cost an additional $100 to cover oversize shipping expenses. The most common door sizes we make are 32" x 81" and 36" x 81". It's also important to note that some door styles have width and/or height limitations. To find out if a particular door style can accommodate your size, go to the product page and check the width and height dropdown menus to find your size. 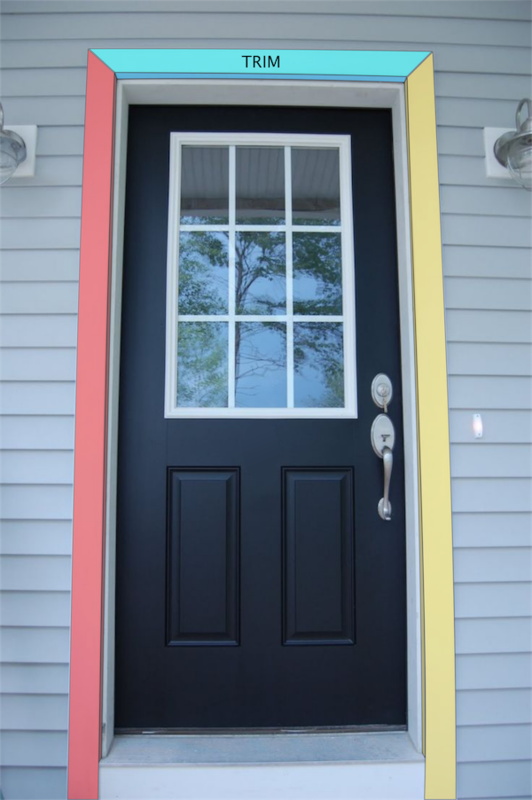 You have the option to include custom dimensions and special instructions to your screen door order. Custom dimensions can include any door size within the allowed range (24"-44" Wide & 76"-96" Tall) that is not shown in the dropdown menu. Say for example that you have an 80 1/2" tall door, but only see 81". Not a problem. You can put those dimensions in the text bar and we'll make your door to that size. Special instructions include specific requests, such as starting the center rail at a certain height or having the trout cutout face a certain direction. Whatever it may be, let us know in the text bar and we'll do our best to accommodate the request. Please note that certain requests may require additional fees. In such cases, we will contact you to discuss your options. If you have any questions about what size best fits your door, send us an email or call with your actual measurements and we'll recommend the correct size to order. Don't see your size? Please call us at (800) 404-8279 to place a Custom Order. Some custom sizes may incur additional fees as well as freight charges. Next, you get to choose your desired Wood Species. Most Premium Series doors are available in your choice of Poplar, Oak, or Sapele Mahogany. Doors in our Standard Series will be offered in Fir and Cedar. Some doors, like our Nature Collection styles, are only offered in certain hardwoods. 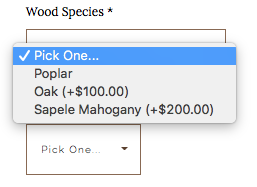 Check the product page and select the Wood Species dropdown menu to see what woods are available. Now you get to pick your Screen Frame Option. Premium doors come standard with a removable aluminum frame in your choice of either Bronze or White. 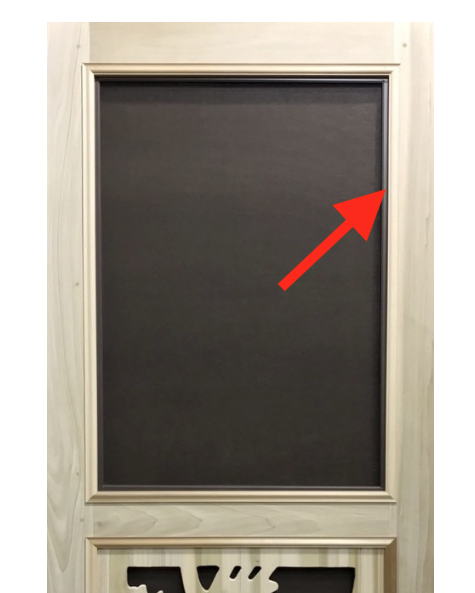 In this example, the frame color is bronze, as shown below. Standard series doors are also available with a rolled-in screen option. For more details, please read more about all of the unique Door Features of our wood screen doors. 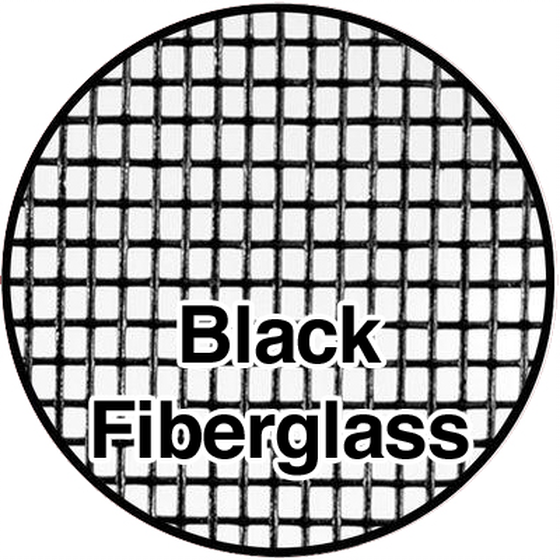 Black Fiberglass: Our standard screen is a high-quality fiberglass mesh in a dark charcoal color. It is a great selection for buyers seeking a dependable screen that won't obstruct your view of the outdoors. 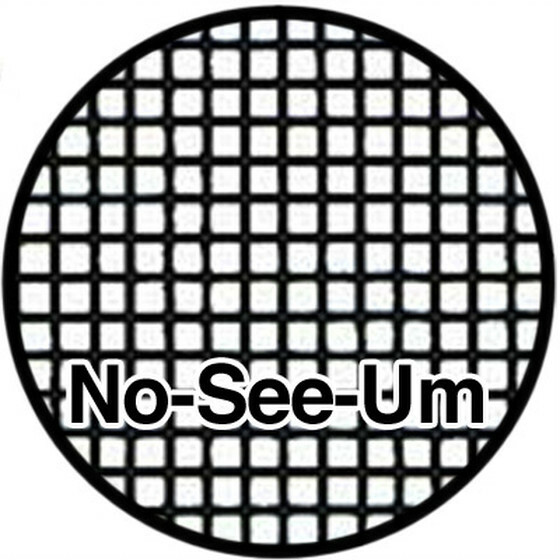 No-See-Um: These screens are made of a tightly woven fiberglass mesh that blocks out even the tiniest insects, making this screen perfect for those that live in areas prone to bugs. 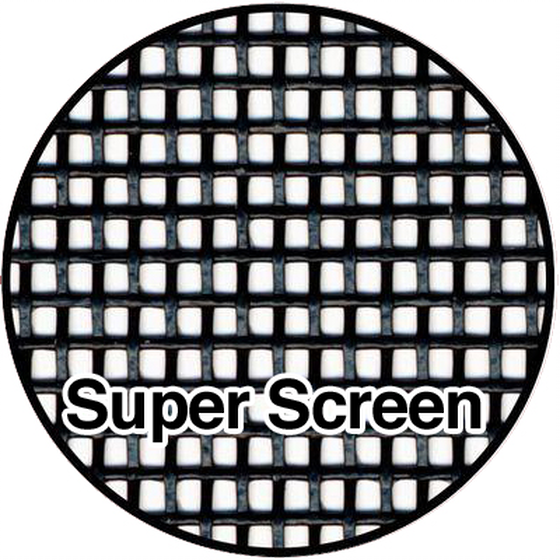 Super Screen: This is the strongest, most durable screen we offer. Designed with pet owners in mind, the Super Screen is tear resistant and will last twice as long as our standard option. Keep in mind that viewing through this screen is slightly more obstructed than our standard option due to the extra thickness of the material. You are almost ready to complete your order! You can now choose if you wish to add an astragal or a wood push bar to your order. Unless you're ordering French Doors, you can select "None" for the Astragal option. However, if you are ordering French Doors, you must select "Astragal" in the appropriate wood choice. You're finally ready to add your new custom door to your cart by clicking Add to Basket! Congratulations on your order! If you have any questions throughout this process, do not hesitate to call us at 800-404-8279.